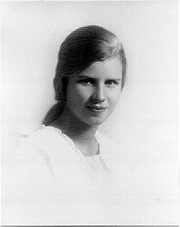 Margaret Dorothea Mortenson graduated from Wheaton College in 1925 and taught for a year before marrying Kenneth Landon. In 1927, the couple became Presbyterian missionaries to Thailand. During the next ten years, Margaret Landon raised her first three children while running a mission school. In her extensive reading about the country, she learned about Anna Leonowens, the governess to the Thai (Siamese) royal family in the 1860s. When the family returned to the USA in 1937, Margaret began writing articles and then researching material for a book on Mrs. Leonowens, which was published as "Anna and the King of Siam" in 1944. Margaret Landon is currently considered a "single author." If one or more works are by a distinct, homonymous authors, go ahead and split the author. Margaret Landon is composed of 9 names. You can examine and separate out names.